A LEANING utility pole is posing a major threat to the lives of residents of Fairfield Housing Development in Princes Town. They are calling on the authorities to replace the metal pole, which they said is a "fatal accident waiting to happen." 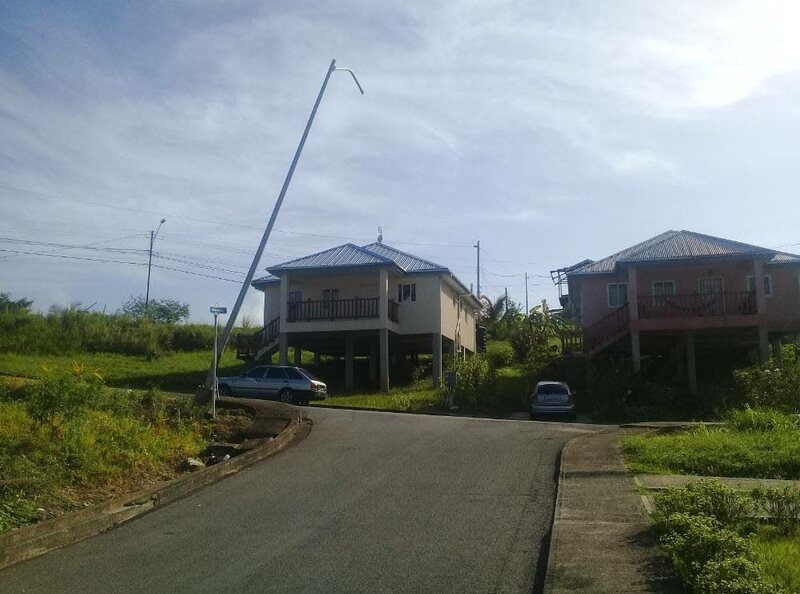 The pole is at the corner of Francis Drive and Deopersad Avenue, in phase one of the Housing Development Corporation community. Residents told Newsday that about two to three months ago, a van crashed into the pole and made it lean. "This is a safety hazard," said one resident. "The pole is unstable and can fall at any time. There are children living nearby and many people use the road. It could fall on parked or moving vehicles. We do not want a Rousillac repeat." The resident was referring to the death of Ulrick John, 40 who was hit and killed by a rotten utility pole in Rousillac on November 19. Reports are a truck passing along the Southern Main Road nearby became entangled with several low-hanging cables and pulled down several poles, and the rotten pole struck John. He was taken to the San Fernando General Hospital, where he died. "We do not want any disaster in this community," said another resident. Reply to "Leaning pole ‘accident waiting to happen’"